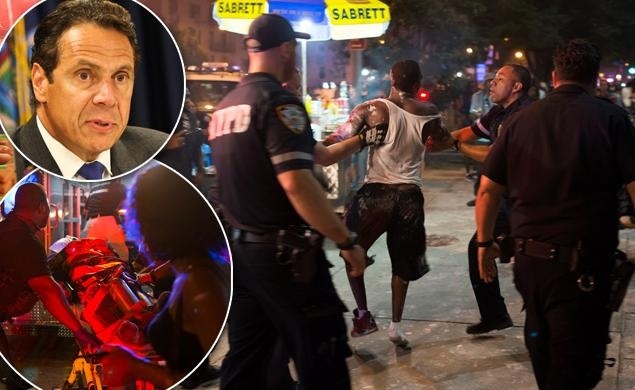 A New York State Government employee, Carey Gabay, has been shot at the West Indians' Labour Day Parade venue, in Brooklyn, said Governor Andrew Cuomo. The governor said, in a news report that the employee was shot as he went by the road around the vicinity of the venue for the Labor Day Parade. The shot state employee, said to be a lawyer to be a lawyer to the governor is reportedly in critical condition. Although, the West Indian Labor Day Parade did start until 1100 am, the New York State employee was reportedly shot ahead of the beginning of the parade. But parade participants surely already began marching from their various locations around Brooklyn to the Crown Height venue of the parade. An observer said that the news that someone has been shot around the parade's venue, even before the beginning of the parade is capable of dampening the spirits of participants. He said it is true that there are always gun shots and casualties on the parade day around the parade venue, mostly during or after the parade, but hearing that someone has been shot before the beginning of the parade is not a welcome gesture. Governor Cuomo plans to visit the hospital to see the shot employee. Meanwhile, Brooklyn neighborhoods and the streets are agog with costume wearing people, women mostly in their bikinis, each individual in their country's color and bandana, marching to the venue of the parade in Crown Height, amid music blaring from loud speakers mounted on trolleys.